In order to provide better service, MRT has launched technical support order system. For those who need remote assistance or other technical support, please submit an order first.Our technical support will contact you after receiving the order. In order to serve MRT customers more efficiently, technical support will process the orders according to the order time and quotation. Please provide the order ID number when contacting technical support. Users with order ID can get priority technical support service. Users can also directly access technical support page by clicking “Technical Support” link in the navigation bar. Queuing number will displayed in technical support order system home page, it may takes a long time to serve you if there is a large queue at present. Thank you for your patience. 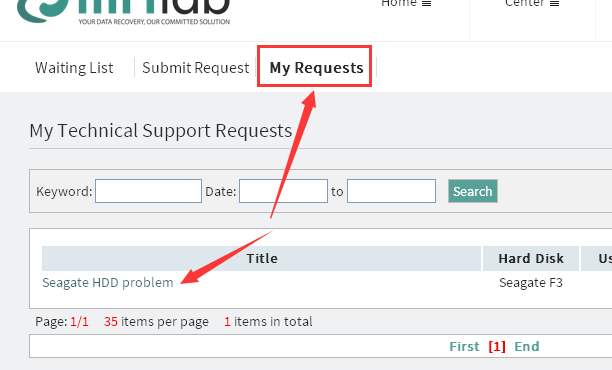 2.Users can submit an order by clicking “Submit Request” link, as shown above. 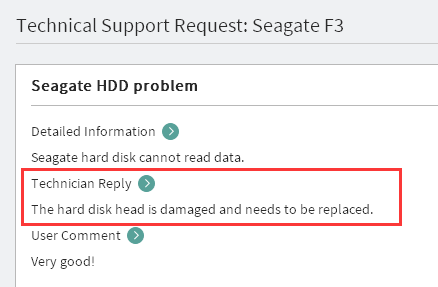 When submitting a technical support request, please be sure to fill in“contact information”accurately. Technical support will contact you through your filled contact information. For example: Skype: 123456 or Tel: 123456. We recommend using Skype. 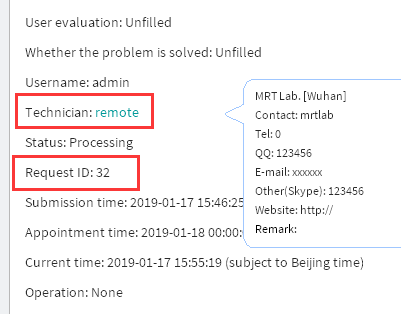 3.After the order is submitted, it will show in “waiting” status.You can find the queue order in the Waiting List.Technical support will process the orders according to the order time and quotation. Please be patient. As shown above, click “Technician” username in the details page, technical support contact information will displayed . Users can wait for technician to contact you or you can contact the technician. Please provide the order ID when contacting technician. The “application ID” in above red box is your order ID. 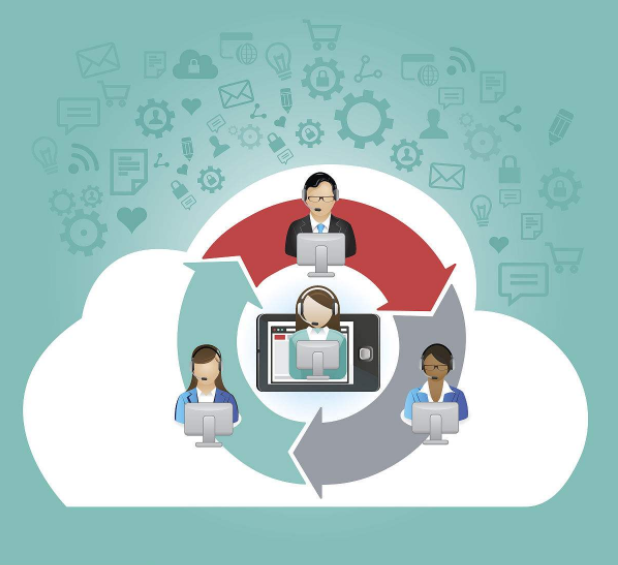 Users can choose to evaluate the service, or choose whether the problem is resolved. Evaluation represents your satisfaction with our services. Whether the problem is solved represents whether the technician successfully solved your problem. Users can also fill in comments, comments are not required. Please reply according to the actual situation, your feedback will help us to improve and provide better service. Selected your evalutions, click “Submit comments and confirm payment” button to end the order. If the service is free, the order will be closed directly. If the service is charged, the corresponding fee will be deducted from your MRT account balance and then the order is closed. 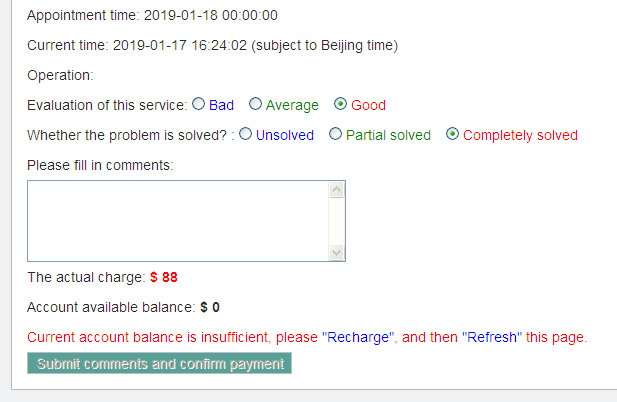 Note: for recharged order, “Submit comments and confirm payment” button can’t be clicked if your MRT account balance is insufficient, it will show your current balance is insufficient please recharge first. As shown above, please click the “Recharge” link to use online recharge method. After the recharge is completed, please return and “refresh” the order details page, click “Submit comments and confirm payment” to end the order. If you do not have online payment method, please contact the technical support,we will provide other payment methods. (1) Please submit the order first and then contact technical support from now on. If you do not submit order first, contact technical support directly will not be accepted. (2) Users can only submit one “Processing” order at a time. After technical support service is processed, please evaluate and end the order. If the user does not evaluate and end the old order, they will not be able to submit a new order.